“I think there is an idealized vision of architects and architecture as a profession,” says Jocelyn Boothe of WBRC Architects/Engineers. “Successful architecture is not just about creativity and innovation and form-plus-function. It’s also about the ability to listen, communicate, and lead a diverse group of people through a complex process.” MH+D asks Boothe to tell us more. Q. What experiences shaped your approach to architecture? A. My first memory involving architecture was watching my parents fire their architect. They had chosen a local architect to design their dream home. Despite being told that my parents did not care for gambrel-style houses, the architect brought plans of a gambrel house to meeting after meeting. When he was unwilling to change the style, he was paid, thanked for his time, and sent on his way. That lesson has stuck with me. Whether it is a house, a hospital, or a music venue, it is the client’s vision that is important, not the architect’s. Everyone sees the world differently, and as a designer, you need to be able to give up your ego and bring to life someone else’s dream. Q. What else does it take to succeed as an architect? A. You need to learn not to take rejection too personally. My first job out of graduate school was doing health care design at a large firm in Washington, D.C. Our team had worked really hard on a concept design for a hospital, and I was responsible for presenting it to the board of directors. There was some negative feedback, and I took it personally— so personally that I went deaf to all the other useful (and mostly good) feedback they gave. I remember driving back to the office with my boss. I expressed my disappointment to her, and she bluntly told me that I needed thicker skin if I was going to succeed in this profession. In her mind, the meeting had gone well. I’m still working on that. Q. You’re a project architect and project manager, so you spend a lot of time problem solving and serving as the “ringleader”— something that people often don’t realize. How do you do that while staying fresh creatively? A. People often think being an architect is primarily about aesthetics, but much of my time is spent on organization. It requires coordinating a team and keeping information going to the right people at the right time. A good leader won’t just say what needs to happen; he or she says why. Everyone needs to find a way that works for him or her to stay creative. I make it a practice to really look at the world around me. I try to keep a travel journal whenever I go someplace new. 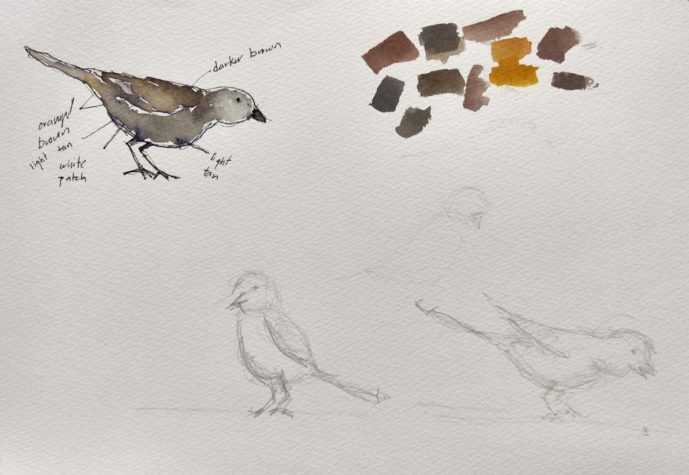 I find that, if I take the time to make a sketch of what I’m looking at, even if it’s just a bird or fallen leaves, I’ll often see it in a different way. It’s also important to be around other creative people, and Maine has an amazing design community. 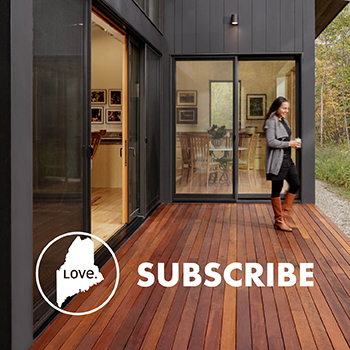 When my husband, who is also an architect, and I moved to Maine three years ago, we were blown away by the number of design firms, professional organizations, and social groups. 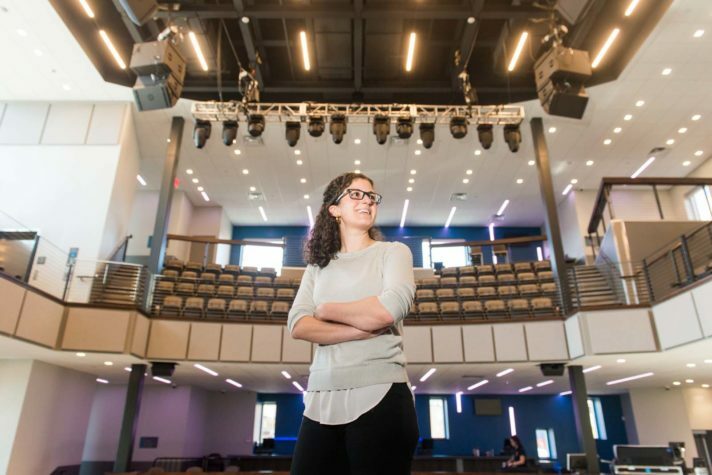 There is an exceptional dedication to the betterment of the community at AIA Maine and other groups, and, in turn, the community is invested in its own growth and development. We’ve enjoyed attending seminars, mentoring groups, and social events centered on the built environment. Q. What do you enjoy most about your profession? A. I love making the pieces of a program fit together and finding a concept that can unify the project elements. I really enjoy leading a diverse group and weaving all the disciplines and specialty consultants together. I love the iterative process: how a project develops and changes until it finds its own truth. Despite my early career experience, attending client meetings and getting honest feedback has become one of my favorite parts of the design experience.